Frank Thomas, a metrology and additive manufacturing specialist for Adaptive, has worked with a variety of manufacturing companies in the areas of engineering, metrology, and additive manufacturing, as both an implementation consultant and product specialist. Over the past 10 years, he has focused on connecting engineering and manufacturing, specifically around quality, and now additive manufacturing. His goal is to help companies better connect the "virtual" to the "physical," thereby improving their time to market and reducing cost. Thomas said that until fairly recently, additive manufacturing was used most often as a tool to create parts that you could hand to somebody so that they could see it, touch it, and provide some input as to what might need to be changed or modified. But that's changed in recent years as new materials have been developed that enable printers to make stronger, more durable parts. "Metal printing has always been there, but that has an economic value proposition that's a bit challenging for it," he said in an interview. "The ABS and nylon and other plastic 3D printers, up until the last couple of years, weren't necessarily dimensionally accurate, and then they had challenges creating a part that's functional. That's what I think is different about the market today, compared to just, really, a couple of years ago." 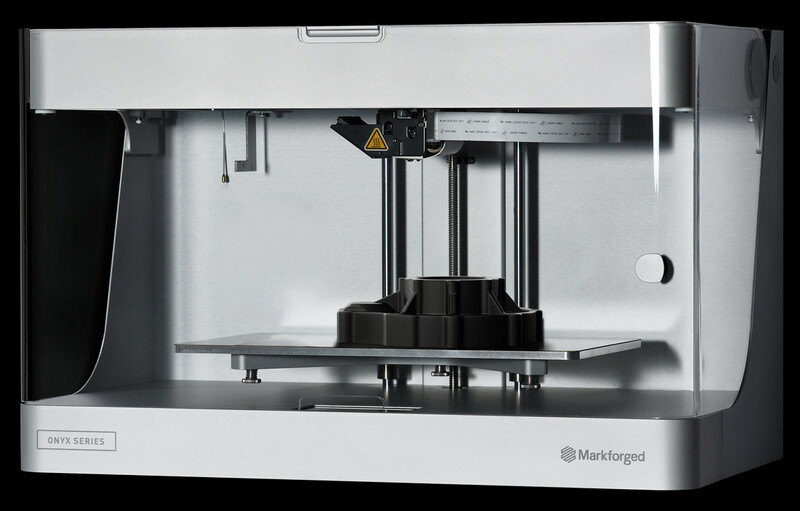 Adaptive markets 3D printers that feature dimensional accuracy and the ability to yield a part that is functional, depending on the application. Thomas said that he's also seeing a lot of interest in metal 3D printing. "Where metal 3D printing comes from is the argon laser based systems," he told D2P. "The companies that have had applications or use cases for them have made the investments, and they've been huge investments. They probably start at half a million dollars and go up, and that doesn't even count the facility that's required to be able to certify and implement something that's an argon laser based system. It's very, very costly." Adaptive is in the process of bringing to market an additive metal machine that's very different from the argon laser based systems. It's based on the metal injection molding (MIM) process, so it doesn't employ any laser technology. Thomas sees it as a totally new kind of metal 3D printer. "It does not employ argon gas compressed in a 3D printing environment," he said. "We're basically using a filament material that is a powdered metal with two binders. We have the ability with software to scale the part, so that after we've heat treated the part, the net shape of the part is the nominal design shape. We're able to predict all of that throughout the process. It's very exciting, and we expect it to be revolutionary." The ability of the machine to print metal powder that's bound in a plastic matrix eliminates the safety risks associated with traditional metal 3D printing machines, which incorporate a high power argon laser that emits argon gas. "If you've seen traditional 3D metal printers, typically, the print volume is relatively small, but if you look in the front window of the printer, it looks like a bomb chamber! It's so well insulated and it's so well protected. And why is that? Well, you're working with a laser; it's emitting argon gas, which needs to be controlled. If there's a spark or some kind of problem with that environment, the possibility of fire or explosion is very, very high. "That doesn't exist in our environment. We're not using a laser, and we're not emitting argon gas as part of our 3D printing process. The other side of that includes all of the environmental things that are required in using the traditional 3D printing machines with the high powered laser. If you go into those environments, you'll see the workers that are usually dressed in spaceman's outfits to protect themselves, even in the environment when the machine has been shut down for some period of time. So it's a very complicated solution." If the demand for 3D printed metal parts is going to grow significantly, especially for critical use cases, OEMs will have to be able to count on high-quality parts. Thomas believes the additive metal industry is up to the challenge because he's already seen major improvements in quality in recent years. "At the end of the day, this is really a materials game. If the materials that we're able to bring to the market provide the end use quality that people are looking for, that's critical." "We try to get in front of people and try and show them the actual solution and describe to them the process," he said. "The desktop printers are really very portable, with the ability to put that into a car and drive out to somebody's site, and, within 10, 15 minutes, you've got a 3D printer set up, running, and3D printing a part. It's very visual for people, and it helps demystify the process." "Now, when you put one of our solutions on a desktop, in front of an engineer, or a manufacturing engineer, and you run the thing for them, there's nothing scary about it. There's nothing intimidating about it, and they just gravitate to it very well." Thomas emphasized that it's important to educate clients and expose them to the possibilities that additive manufacturing creates. Simplicity, and the amount of time it takes to realize value, are key. "The solutions that people buy in this economy need to deliver value measured in weeks and a month or two–companies don't have the luxury of implementing solutions that are measured in months and years. Additive manufacturing is something that you can deliver to a client, and they can be using it tomorrow and getting some value off of it and generating valuable results for the organization."